More than 1,000 people over the age of 60 in Northamptonshire were the victim of a burglary in 2015, latest figures have shown. 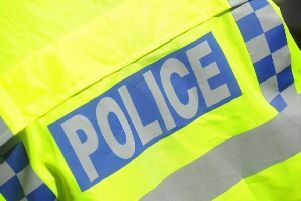 Figures released by Northamptonshire Police after a Freedom of Information request show 530 people aged 60 or above had items stolen from their homes, while a further 486 had garden sheds or garages broken into. The number of burglaries in 2015 is slightly down from the previous year when there were 581 domestic and 542 non-domestic burglaries in the county. Liam Condron, chief executive of Age Uk Northamptonshire, said a burglary could have a devastating impact on an older person. He said: “If an older person is burgled it feels like an invasion of their home and they may feel less capable of defending themselves. Mr Condron said statistics showed that older people were less likely to be victims of crime but often had a higher fear of it.